Premier Collection SS Semi-Hollowbody Electric Guitar with Stairstep Tailpiece. D'Angelico's famous SS style has shown up in the Premier Collection. 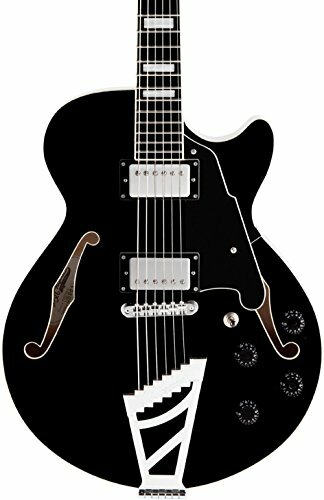 A 15-inch-wide, single-cutaway archtop strapped with personalized D'Angelico humbuckers, the Premier SS delivers a cozy, robust tone that is still crisp as well as clear. Coming from clean jazz to stirring stone grit, its flexibility is unmatched. This style features the signature Stairstep tailpiece as well as only a message behind the bridge. Includes job bag.